Some 218,000 men and women with severe psychiatric disorders are incarcerated in an American prison or county jail. Most committed violent crimes – sometimes murder – while propelled by a crazed mind untreated with medications and therapeutic care. 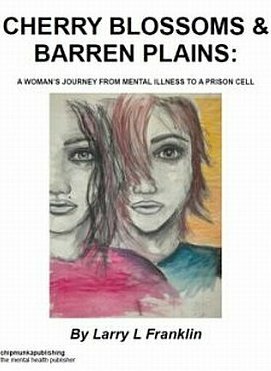 Cherry Blossoms & Barren Plains: A woman’s journey from mental illness to a prison cell is such a story. My work explores the life of Rebecca Bivens, who beat her five-year-old stepdaughter to death. In 1998, a jury found Rebecca guilty but mentally ill, and sentenced her to life in prison. Together, Rebecca and I began a story that became larger than her own. It grew into a narrative of Rebecca’s mental illness with all of its ramifications: from the lack of society’s understanding of a disease that plagues millions of people each day, to the strain on our national budget; and the residual effects on family and friends ill equipped to handle the demands of someone who suffers from a severe mental illness. To read the entire Prologue of Cherry Blossoms & Barren Plains, please click here . For information about the publisher please click here.